As a few of our recent updates have demonstrated, Gist is ideal for creating living documents that are simple to share with both team members and the public, archiving, showcasing collections and galleries, and organizing data in visually-stunning ways. 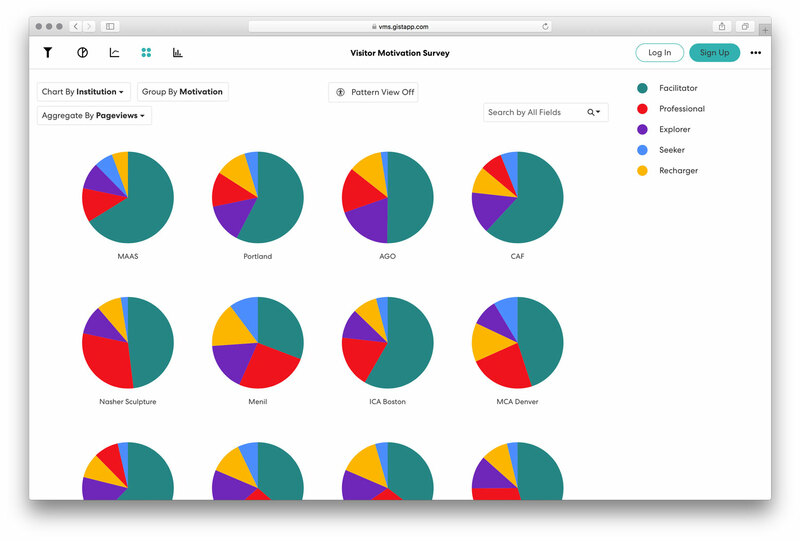 Here, I’d like to share a prime example of how Gist can be successfully utilized for calculating and sharing business analytics – a usage that applies to almost any organization that requires marketing and media outreach. Last year, digital media specialists Sarah Wamhold and Marty Spellerberg conducted The National Motivation Survey Project, an ambitious undertaking which included website visitor traffic data from nearly two dozen cultural institutions across the country. 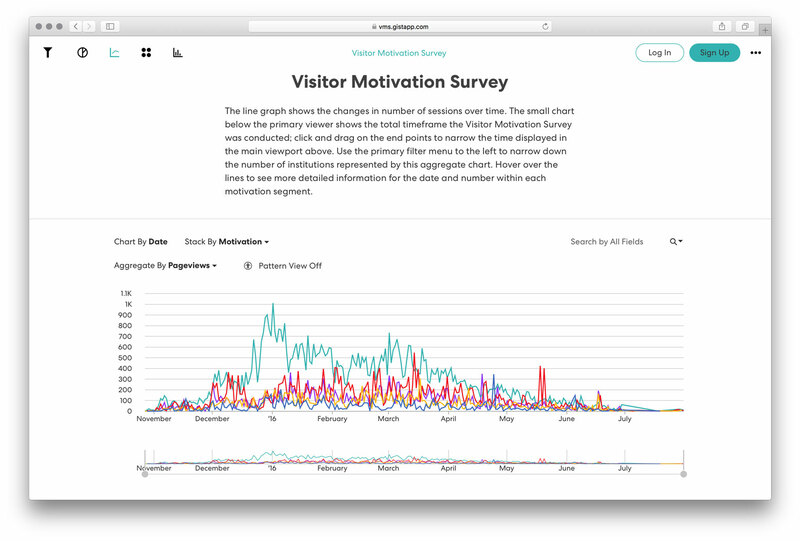 The surveys themselves, while examining not only traffic numbers but visitor input, provided those participating museums individual insights into their online audiences – comparing that data to that of other institutions, and revealing visitor demographics and interests. We used Gist's unique system to break down the surveys into an ergonomic and interactive display, allowing those institutions and visitors alike to find the specifics of all that data for easy retrieval and sharing. Curators of such institutions will find Gist invaluable in cataloging not only their institution’s collections, but administrators can now use the same methods to track the demographics of their visitors and their points of interests. With this system, Gist is perfect in streamlining marketing data for any organization. I welcome you to explore our numerous datasets at app.gistapp.com to learn the endless possibilities that Gist offers for your organization.